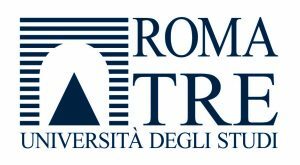 ROMA3”s research team has a significant experience in participating and coordinating European projects in smart environments, secure multimedia communications including data hiding (steganography and watermarking), and in biometrics with emphasis on privacy enhancing technologies. The researchers involved in the project will bring their expertise in the area of biometric based subject recognition by means of both face and body analysis for the purpose of identifying a user in a scene. ROMA3 will transfer its expertise to SGX for the purpose of integrating the subject recognition module in the browser plugin, whose development is led by SGX. On the other hand SGX will transfer to ROMA3 its competences in industrial product development. Moreover, seconded researchers from ROMA3 will transfer their well-established know-how in the field of steganography for the purpose of content protection to LSTech which will be the leader for the development of the content protection aspects of the browser plugin.